In 2017, Ron Shaich sold Panera Bread for $7.5 billion. Now he's making moves. If you take a stroll down Boston’s Boylston Avenue, you might pass Tatte Bakery and Café, Life Alive Organic Café, and CAVA, all within a few minutes of each other. It’s impossible to tell from the outside what they have in common, but if you know they’re all part of Ron Shaich’s quietly multiplying fast-casual empire, you get it. Having sold Panera Bread to JAB Holdings (which also owns Caribou Coffee, Peet’s Coffee, and Krispy Kreme) for $7.5 billion in 2017, Shaich is on a mission to exercise what he calls “venture management," helping founders of restaurants get off the fundraising treadmill, avoid pressure from activist investors, and focus on the reason they got into the business in the first place: food. At 64 years old, Shaich is often asked why he isn’t vacationing in the Caribbean, having run Panera and Au Bon Pain for more than 25 years. He stayed in Massachusetts so that he and his former partner at Panera, Keith Pascal, could launch Act III Holdings, an investment vehicle that has taken ownership stakes in a number of Boston restaurants with the goal of developing them into national fast-casual brands. As Boston is a far smaller city than New York or Chicago, many of Act III’s ventures inevitably end up clustered together. Despite this, Shaich feels confident that they won’t be competing with one another. By establishing their authority in the bakery-cafe, wellness, and Mediterranean niches, Shaich believes that Tatte, Life Alive, Clover, and CAVA can find success within and beyond Boston. Although Act III has quite a bit of cash to invest—roughly $300 million—Shaich is careful about the businesses he pursues; with each venture, he insists on a story of personal connection to the food’s mission, or the founder. Often, the connection is wellness-related. As a result, Shaich became a frequent diner at Life Alive, a spot famous for its green-heavy wraps and smoothies. 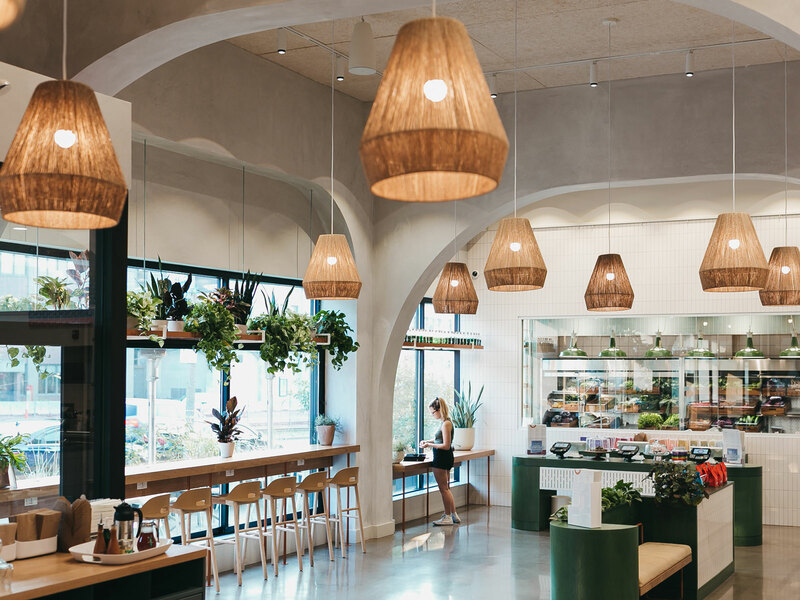 He believed the brand could expand and fill a critical void in the wellness niche—so, he bought an ownership stake and made his personal chef, Leah Dubois, the entire chain’s culinary director. He refers to Tzurit Or, the woman who opened the first Tatte bakery in Brookline in 2007 after immigrating from Tel Aviv, as “an artist,” and her recipes, which include nutty halva bombs, delicate cinnamon roses, and creamy passionfruit krembos, as “three-dimensional art.” Just as businesses like Tatte and Life Alive achieve local success and begin to feel the friction and excitement of scaling, Shaich swoops in to handle the tough stuff—like finding funding and developing infrastructure—off of founders’ plates so that they can focus on the quality of the food, factors that Shaich says often suffer during an expansion process. Since opening in 2007, Tatte has expanded to eleven stores across the city, with much success––each location does upwards of $2,000 in sales per square foot, according to Shaich. With Act III’s investment, the brand will double its locations as it takes its first steps outside of New England into a brand new market early next year: Washington D.C. Having opened a location in Brookline last month, Life Alive also intends to double its storefronts by the end of 2019; a Back Bay location will open early next year, after which the organic café will move into another city outside of Boston within the 128 belt (which includes Newton, Brookline and Waltham) before it expands into other markets in 2020. 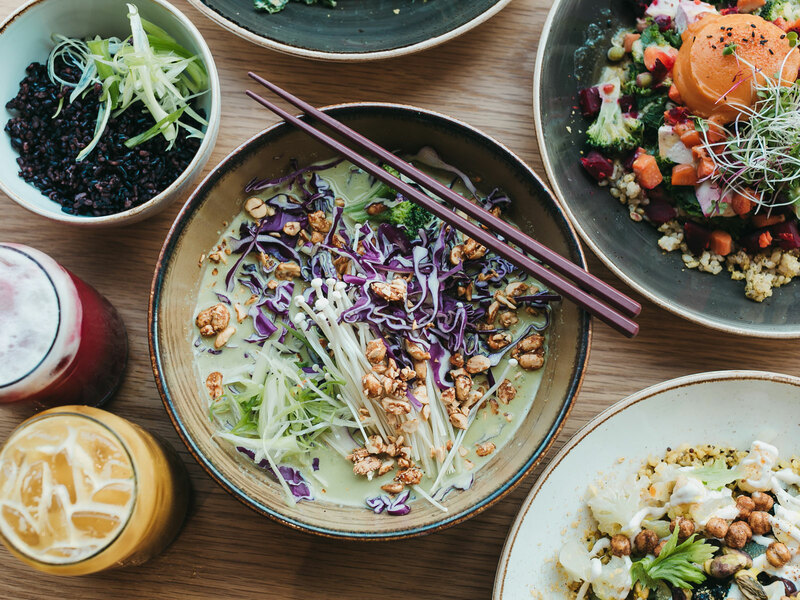 Meanwhile, CAVA, which acquired Zoe’s Kitchen in late August, has jumped from 66 to 327 locations. Shaich is now the chairman of the combined company, which is poised to outrank Shake Shack in sales. One of the biggest pitfalls to investing in local brands and subsequently shepherding them down a fast-track national dominance is the threat of losing what many customers love most about them—feeling that small-town connection to the brand. Across Act III’s ventures, no one has developed this bond better than Or, whose incredibly popular personal Instagram account is the same as the Tatte brand’s (meanwhile, CAVA, Clover, and Life Alive all have business-specific Instagram accounts). On Instagram, Or shares glimpses of her home, which mirrors the minimalist French aesthetic in her bakeries, her local farmers’ market visits, and her Jewish heritage. Having helmed a business like Panera (which has roughly 2,400 stores nationwide), Shaich is acutely aware of the risk of scaling too quickly and losing sight of the relationship between consumer and entrepreneur.